Amid a college admissions bribery scheme; a $215 million federal class action settlement; two ongoing sexual assault investigations; an athletics bribery lawsuit; and the appointment of a new president, the USC community has continually increased its calls for transparency. Students, faculty and staff have spoken out at open University forums, in letters to the Board of Trustees and through campus protests and petitions. 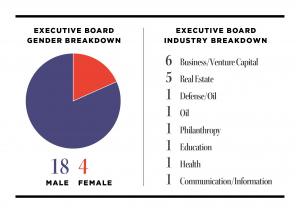 But transparency remained elusive when the names of the 17 members of the Executive Committee of the Board of Trustees — which calls the shots on some of USC’s most pressing issues — were kept confidential. And the Board’s meeting minutes are not made public. But Board of Trustees Chairman Rick Caruso said he is tired of the secrecy surrounding the Board’s 11 classified committees. According to the University bylaws, the Executive Committee holds all the same powers as the Board, save for a few, such as amending bylaws and appointing or changing the members of the Board’s various committees. The Executive Committee has duties reserved for specific circumstances — like the resignation of former President C. L. Max Nikias and the investigation into former medical school dean Carmen Puliafito, who used methamphetamines on the same days he saw patients. 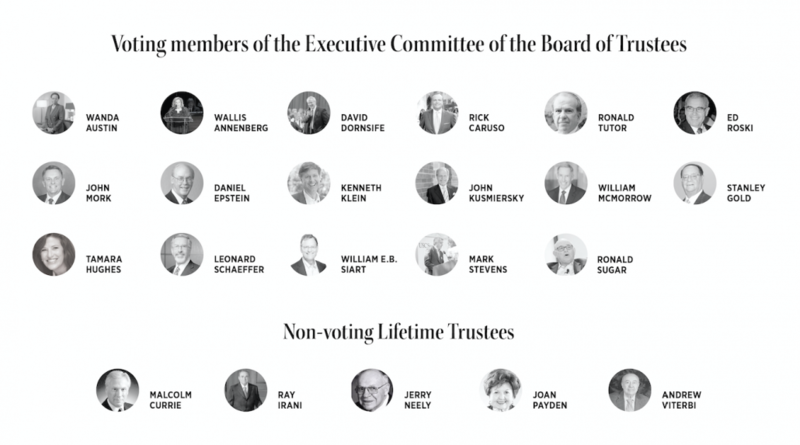 In the interview, Caruso disclosed the names of the 17 voting and five non-voting members of the Board’s Executive Committee, comprising celebrities, business executives and philanthropists. “There’s these silly old rules that people had … trustees can’t meet with students, trustees can’t meet with faculty, trustees can’t meet with deans. It’s crazy,” Caruso said. Billionaire businessman Rick Caruso was appointed to the Board of Trustees as chairman in May 2018. Caruso, 60, is the founder and CEO of a real estate company that owns and manages prominent shopping centers such as The Grove in Los Angeles and The Americana at Brand in Glendale. The alumnus, who formerly served as president of the Los Angeles Police Commission, is a major donor and the namesake of both the Keck School of Medicine otolaryngology department and the University’s Catholic center, following nearly $50 million in donations. The longest-serving member on the Board of Trustees, Wallis Annenberg, 79, is the chairman, president and CEO of the Annenberg Foundation, a multibillion-dollar philanthropic organization. Annenberg most recently made a $10 million donation to the Annenberg School for Communication and Journalism in 2017. The school is named after her father, Walter Annenberg, who founded the School of Communication in 1971, and Wallis Annenberg Hall built in 2014 was named after her. Wallis Annenberg is also the fourth person to receive USC’s University Medallion, which is awarded “very selectively to those who have made major contributions to the university,” according to the website of the Provost. Interim President Wanda Austin, 65, joined the Board of Trustees in 2010. The former president and CEO of The Aerospace Corporation, Austin earned her doctorate in systems engineering from USC in 1988. Austin was appointed by the Board of Trustees in August 2018 and was the first woman to lead the University. As interim president, she has created multiple University task forces, including the Task Force on University Nomenclature, and set up oversight offices like the Office of the Ombuds. On the Executive Committee, Austin has served ‘ex officio’ since she took on the role as interim president. ‘Ex officio’ means an individual is granted membership to the Board, by virtue of their position. Austin will formally step down from her position as interim president on June 30, but will remain a trustee, according to Caruso. Marshall School of Business alumnus David Dornsife was elected to the Board of Trustees in 2002, according to USC News. Dornsife, 75, is the chairman of the Herrick Corporation, one of the largest steel fabricators in the United States, according to the company’s website. 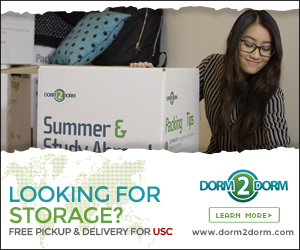 The Los Angeles Times reported in 2015 that Dornsife and his wife Dana donated $200 million to the College of Letters, Arts and Sciences, which was subsequently named after them. The donation is the largest single donation the University has ever received. Daniel Epstein, a graduate of the Viterbi School of Engineering, is the executive chairman and founder of ConAm Management Corporation. Epstein is a member of the executive committee of the Lusk Center for Real Estate Development and the Viterbi Board of Councilors. Epstein received the 2014 Asa V. Call Alumni Achievement Award, USC’s highest alumni tribute. Epstein’s family endowed USC’s Alumni Association Epstein Family Alumni Center, which opened in 2010. Stanley Gold, 75, was awarded the Presidential Medallion — USC’s highest honor — in 2009, according to USC News. An alumnus of the Gould School of Law, Gold is the founder and chairman of Shamrock Israel Growth Fund Advisors, a Tel Aviv-based private equity and venture capital firm. On Jan. 22, Gold responded to a letter addressed to the Board and Caruso penned by the Concerned Faculty of USC, which called for shared governance and increased transparency following the firing of Marshall School of Business Dean Jim Ellis. Gold publicly lambasted the letter’s authors and partially blamed the University’s faults on the abrupt termination of former President C. L. Max Nikias. “It is my hope that the faculties of other schools will be more discerning than the Law School faculty before joining your band of know-nothing vigilantes,” Gold wrote. Alumna Tamara Hughes Gustavson was elected to the Board of Trustees in 2010. 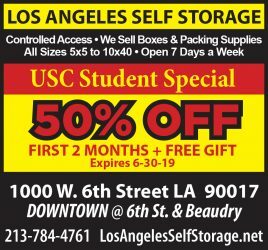 Gustavson is the largest shareholder of Public Storage, a Glendale-based company that manages self-storage facilities, according to USC News. Gustavson, 57, has a net worth of $4.7 billion, according to Forbes. Kenneth Klein, a graduate of the Viterbi School of Engineering, most recently served on USC’s Presidential Search Advisory Committee. Klein, 58, was the CEO and chairman of Tintri, Inc. — an information technology company — from 2013 to 2018, according to Bloomberg. Klein was elected to the Board of Trustees in 2009. He is also a member of Viterbi’s board of councilors and serves on the Board of Trustees’ Student Affairs Committee. John Kusmiersky has been involved in real estate for over 40 years and is a founding partner and chairman of Brickstone, a full-service real estate development company. According to his biography on Brickstone’s website, Kusmiersky serves on the governing boards of USC Hospital and the Norris Cancer Hospital, as well as Keck’s Board of Overseers. Kusmiersky was also a part of the Presidential Search Advisory Committee and has been on the Board of Trustees since 1986. 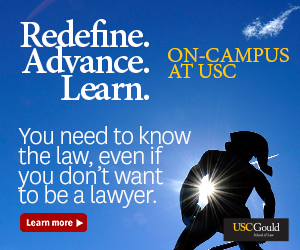 He graduated from the Gould School of Law in 1971. A two-time alumnus of USC, William McMorrwow was elected to the Board of Trustees in 2015. He was awarded the Asa V. Call Alumni Achievement Award in 2015, according to his biography on the website of the Presidential Search Committee, of which he is also a member. In 2014, McMorrow, 71, endowed USC’s Global Real Estate Program with an undisclosed donation amount. He is the chairman and CEO of Kennedy Wilson, a global real estate investment company. McMorrow sits on the executive board of the USC Lusk Center for Real Estate. John Mork, CEO of Energy Corporation of America, previously served as the chairman of the Board before Caruso assumed the position last May. Mork, 71, pledged $110 million to fund scholarships at USC. “For over a decade, USC has benefited enormously from John Mork’s boundless energy and passion for our academic mission and from his family’s extraordinary generosity in ensuring that the life-changing gift of a USC education will be available to generations of young men and women far into the future,” Nikias told USC News. While Mork was an undergraduate at USC studying engineering, he played on the baseball team. He was awarded a Doctor of Humane Letters from the University in 2012. Ed Roski, businessman and USC alumnus, appeared at No. 114 on the 2018 Forbes 400 list of the richest people in America and No. 9 on the Los Angeles Business Journal’s 2018 list of wealthiest Los Angeles residents. The 80-year-old trustee partially owns the Los Angeles Kings and the Los Angeles Lakers. In 2017, Roski was awarded the Congressional Medal of Honor for his service in the Marines and his philanthropic work through the Majestic Realty Foundation. In 2016, Roski and his wife Gayle made a $25 million endowment to the Gayle and Edward Roski Eye Institute at Keck Medicine of USC. He also made a $23 million donation to endow the Roski School of Art and Design in 2006. In December 2018, Roski penned an open letter to Caruso expressing his concerns over the termination of Marshall School of Business Dean Jim Ellis. Leonard Schaeffer, 74, is the former chairman and CEO of Wellpoint, now known as Anthem, one of the largest health insurance companies in the United States. Schaeffer was elected to the Board of Trustees in 2013. In 2012, USC News reported a $25 million donation from Schaeffer, which endowed the USC Leonard D. Schaeffer Center for Health Policy and Economics, established in 2009. He also received the Sol Price Award in 2012 for his accomplishments as a business leader, philanthropist and policy expert, according to reports by the Daily Trojan. Schaeffer serves on the Sol Price School of Public Policy’s Board of Councilors. William E. B. Siart is the chairman of the board of Excellent Education Development, a nonprofit organization focused on public charter schools. He is also the chairman of the board of Great Public Schools Now, a nonprofit focused on public school access. Siart has served on the Board since 1995. Alumnus and venture capitalist Mark Stevens began his career at Intel Corporation in 1982 and was formerly a management partner for Sequoia Capital. Stevens and his wife Mary have donated more than $100 million to the University, according to USC News. In 2004, Stevens donated $22 million for the USC Stevens Center for Innovation, USC’s technology transfer office. Ronald Sugar is the CEO of Northrop Grumman Corporation, an aerospace defense company. He is also a board member of Apple and Chevron. Sugar, 69, donated $5 million to USC Libraries. Ronald Tutor, a businessman and investor, serves as the chairman, CEO and president of construction company Tutor Perini. Tutor, who graduated from USC in 1963, donated $2 million to the USC Institute of Armenian Studies in 2008. He is the namesake of Tutor Hall and the Ronald Tutor Campus Center. These trustees are not granted a vote on the Executive Committee. 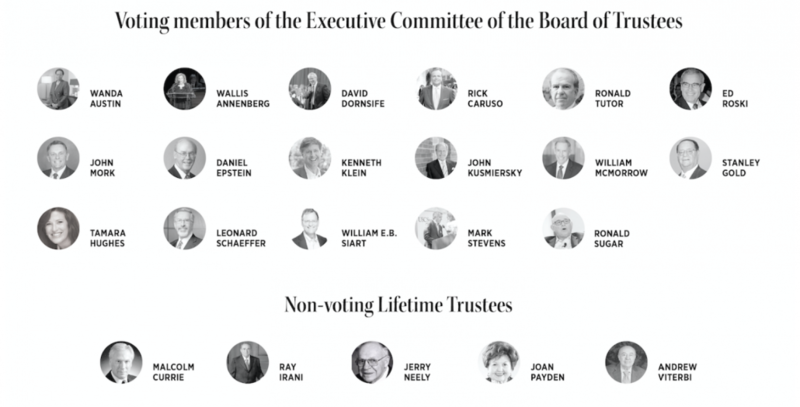 According to the Board’s bylaws, any executive board member who has served a minimum of nine years may be elected as a lifetime trustee. There are other circumstances in which trustees who have served under nine years can be selected for a lifetime position. They can also be chosen if they are over 80 years old and have made numerous contributions to the University. According to the bylaws, a life trustee is not a voting member of the Board, but is allowed to participate in discussions and attend meetings. 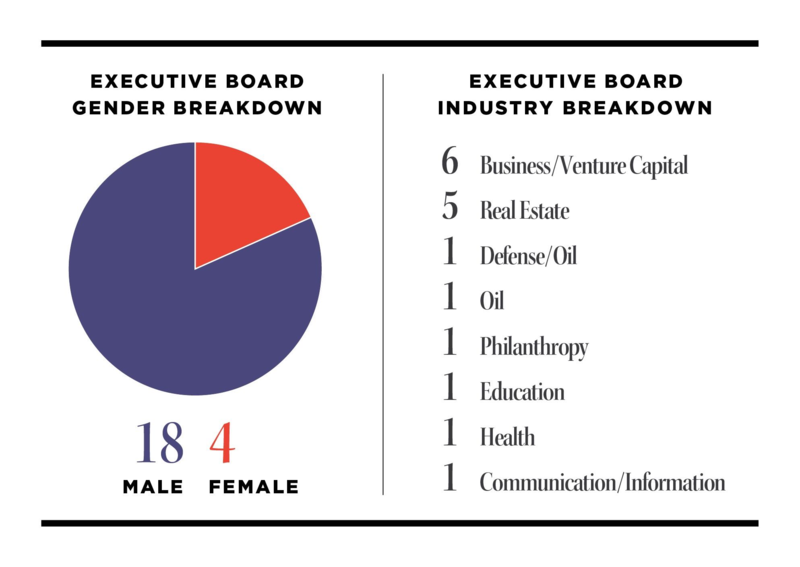 CORRECTION: An earlier version of this article included a pie chart that said the executive committee has 19 men and 3 women. The committee has 18 men and 4 women. The chart has been updated. The Daily Trojan regrets the error.